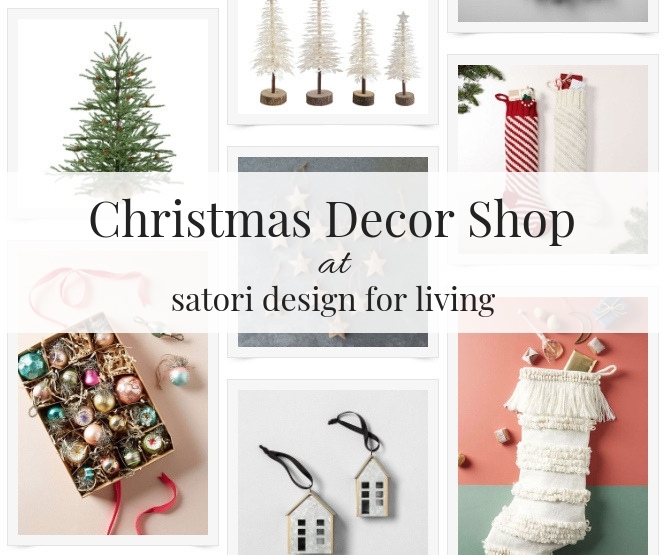 Welcome to the Christmas Decor Shop at Satori Design for Living! It’s definitely my favourite time of year to decorate our home, and I’ve been busy gathering up all kinds of pretty and festive goodies. Stockings, ornaments, wreaths, garland and more! If you’re like me and you’d rather stay home in your PJ’s sipping coffee while you shop, this holiday decor shop is perfect for you. I mean, who likes heading out into the cold or standing in long lineups anyway? I’ll be updating this shop as I discover more great holiday decor finds throughout the season, so be sure to check back. To shop, simply click on a photo and you’ll be taken to the website to get all of the details. Enjoy! More Christmas decor to come. Check back for updates!